Biscoff Spread is a vegan alternative to nut butter. If you've been on a Delta Airlines flight anytime since the 1980s, odds are you've tasted Biscoff cookies, the slightly sweetened wheat biscuits that are made by Lotus Bakeries, a Belgium-based company that has expanded to establish offices around the world since its founding in 1932. The original Biscoff cookies are made with a vegan recipe that is completely dairy-free. Lotus Bakeries' newest product is a vegan spread that incorporates its famous cookies. Now available in stores throughout the U.S. and Europe, Biscoff spread is gaining popularity as a vegan-friendly nut butter substitute. Recently, Lotus Bakeries executive president Marco De Leeuw took a few moments to discuss the new Biscoff Spread with LoveToKnow. LoveToKnow (LTK): Please share the story of how Belgian mother Els Scheppers came up with the idea for Biscoff Spread. Marco DeLeeuw (MD): Belgian native Els Scheppers was instrumental in the creation of Biscoff Spread. For years, Ms. Scheppers's daily ritual consisted of enjoying a Biscoff cookie with her coffee. Inspiration for Biscoff Spread came when [she] wanted a spreadable version of the cookies for breads, fruit, and other foods. In November 2007, after months of testing and fine-tuning her recipe, Ms. Scheppers entered her creation in Belgium's reality show competition, "De Bedenkers" ("The Inventors"). After reviewing over 2,000 entries, voters chose Ms. Scheppers' creative cookie spread as a top finalist. Lotus Bakeries then worked with Ms. Scheppers to perfect the recipe. When first introduced in Belgium in 2008, Biscoff Spread sold out in just three hours. LTK: What do you feel are the best qualities of the spread? MD: Biscoff Spread is an all-natural product made without trans fats or butter. It was also crafted without nuts, making it a great alternative to peanut butter for people with nut allergies. The spread is low in both sugar and calories (less than 88 calories per serving) and can be used in a variety of ways-spread on toast or waffles, or used as a dip for baby carrots and sliced apples. LTK: Biscoff spread is a nut-free alternative to peanut butter that is suitable for vegetarians and vegans. How does it compare nutritionally to peanut butter? MD: At only 88 calories per tablespoon, Biscoff Spread contains roughly the same number of calories per serving as peanut butter. It also contains a low level of sugar, at just five grams per serving, and zero trans fats. Biscoff Spread contains 0.5 grams of protein per serving. LTK: As you refined the final recipe for the spread, was marketing to vegans on your mind? Did you have a goal of keeping the product dairy-free? MD: We did not set out to produce the spread as a vegan item. However, most Lotus Bakeries products, including Biscoff Cookies, are vegan. The original recipe for Biscoff Cookies was developed in 1932 and it has since remained a priority to uphold that original recipe. 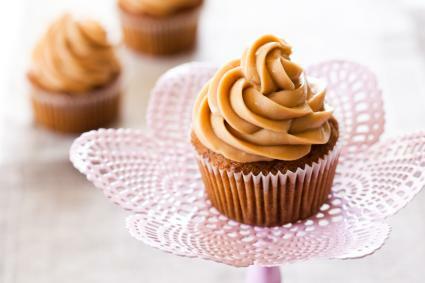 The original formula Els used to create Biscoff Spread utilized only vegetable-based ingredients, and Lotus Bakeries stayed as true to her original recipe as possible. LTK: In Europe, the reception for Biscoff Spread has been very positive. How do you intend to get the word out about the product in the U.S.? MD: Biscoff's popularity in the US began to "take off" in the 1980s when the caramelized cookies were served on Delta Airlines flights. Since then, Biscoff has attracted a rather large U.S. following. To promote the spread, we've worked with both regional and national media outlets to tell Biscoff's unique story. Additionally, we've initiated sampling programs with influential bloggers and food media, organized various contests and giveaways in the online and blogger community, and developed recipes using Biscoff Spread. 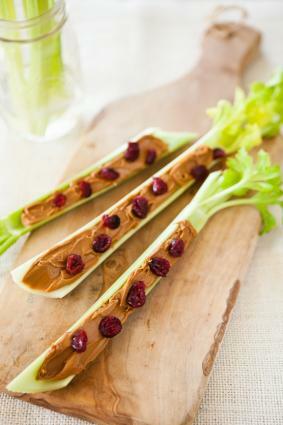 LTK: The spread has a sweeter taste than peanut butter, which makes it ideal for desserts. Would you recommend baking with it? MD: Absolutely! In fact, we've created several new recipes using the spread we'd like to share. See below! Use the icing with carrot cake, red velvet cake, or plain yellow cake. Beat Biscoff Spread, cream cheese, powdered sugar, and vanilla with a hand mixer until smooth. Frost cupcakes or cake with the mixture; store any leftovers in the refrigerator. Makes enough to frost a dozen cupcakes or an eight-inch, two-layer cake. This pie has an extra hint of sweetness and additional depth of flavor. Heat oven to 425 degrees Fahrenheit. Line a 10-inch deep-dish pie plate or quiche dish with the pastry. Whisk together Biscoff Spread, sugar, and eggs in a large bowl. Stir in the remaining ingredients; whisk well. 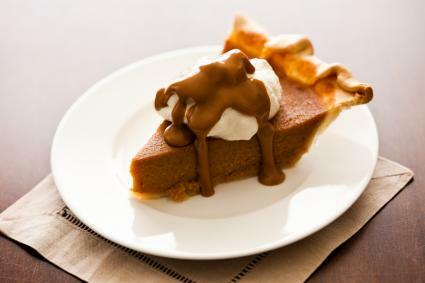 Bake the pie for 10 minutes, then reduce the oven temperature to 350 degrees Fahrenheit. Continue to bake the pie for 35 to 40 minutes or until the center is set. Cool the pie on a wire rack for at least two hours before serving at room temperature or chilled. With a hand mixer in a small bowl, whip 1/4 cup Biscoff Spread and 1/4 cup whipping cream. Set aside and clean the beaters. In a medium bowl, whip 1/2 cup whipping cream until soft peaks form. Gradually whip in the Biscoff Spread mixture until stiff peaks form. Refrigerate the topping until serving time. Makes about 1 3/4 cups. Since Biscoff products aren't yet available in every U.S. state, you may have to order online if you're interested in trying the spread or using it in your baking. Marco wanted LoveToKnow readers to know that all Biscoff products are available directly from the company's website or via phone from the Biscoff gift catalog at 1-800-422-2924.